Maternity Hospital In Northern Syria Is Bombed, Charity Says : The Two-Way Save the Children says the facility in rebel-held Idlib was hit by an apparent airstrike and that there were casualties. A spokesman says it is the only maternity hospital for more than 40 miles. Save the Children says the bombed maternity hospital it supports in the rebel-held Syrian province of Idlib served some 1,300 women and children a month. 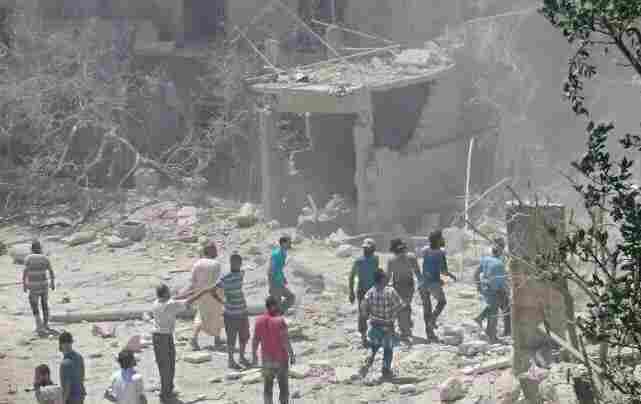 Save the Children said a maternity hospital it supports in the rebel-held Syrian province of Idlib has been hit by an apparent airstrike. The charity said in a statement that it's the only such hospital for more than 40 miles. "A maternity hospital serving 1,300 women and children a month in northern Syria is now out of commission. Save the Children spokesman Alun McDonald tells NPR the hospital took a direct hit, in what appears to be an airstrike. "Photos appeared to show the entire side of the building blown off. ... Last month, staff delivered more than 10 babies a day." Save the Children says the hospital "has six incubators for premature babies, and an outpatient clinic for supporting pregnant women and providing after-delivery care." The charity posted a video on Twitter showing rubble and ambulances racing to the scene. Last weekend, it said in a statement that Idlib has seen "more than 100 airstrikes in the past few days." 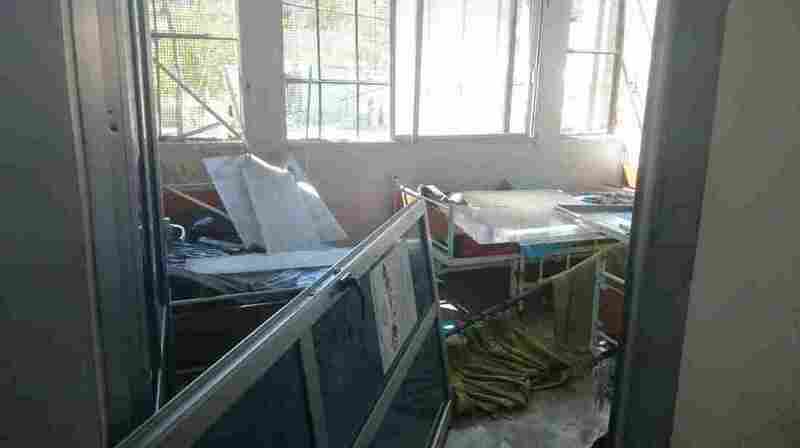 "We are deeply saddened by the tragic bombing of the maternity hospital in Idlib. Our thoughts and hearts are with the patients, staff, and their families," the charity's CEO, Carolyn Miles, said in a statement. This is how a person there working in partnership with Save the Children described the scene a few days ago: "The streets are totally empty and the smell of blood and gunpowder fills the air. Thousands of families are fleeing the city into the countryside." Fighting continues to rage in Syria's civil war, which is now in its sixth year. On Thursday, a powerful extremist group called the Nusra Front said it changed its name and claimed that it is severing ties with al-Qaida, a move that has the potential to complicate U.S. military efforts in the country. The announcement was made in a video released by Nusra's leader, Abu Mohammed al-Jolani. The Associated Press reports that it "took place with the endorsement of al-Qaida's central leadership, and its ideology remains the same, raising questions whether the change really goes beyond the new name, the Levant Conquest Front." "Jolani seems to have been convinced that the United States and Russia posed an imminent danger. So Jolani reacted with an announcement that will do nothing to deter America and Russia—but will allow Nusra to further wrap itself in protective layers of the Syrian opposition public and other rebel factions."